Never underestimate the power of a good logotype. Logos, which provide a business with the means to instantly communicate its identity and branding, are the most powerful marketing tool known. The merger between Citicorp and Travelers Group, and the need to create a unified design representing the combined entity, led to one of the most innovative and memorable logotypes of record. While Citicorp, throughout the 1980s and 1990s, was undoubtedly one of the strongest financial services firms to expand and grow by customer addition and retention, the organization also added tremendous revenue by buying up other profitable concerns. In fact, Citicorp’s success in this arena during an era dominated by mergers and acquisitions is still a case study in flexible, sustained increase. In 1998, Citicorp announced that it would merge with Travelers Group, a well-known insurance and financial concern, with tremendous potential for cross-selling and additional service offerings at existing locations. Every successful merger requires that the organizations’ operations be married at all levels, but what might stand out the most about this combination was the new entity’s legendary branding and logo. The design team that toiled to visually represent the merger of these two giants had several approaches they could take: Retire both icons and create an entirely new look and feel; take the colors of one and carry them over to the style of the other; or combine the two icons and create an emotive, solid look to the merger, one that would last for years to come. Decades, as it turned out. The stroke of genius that resulted incorporated the original feel of Citibank from the 1970s and 1980s and Travelers’ well-known umbrella icon. This red umbrella was so beloved that several years after Travelers left Citi, as soon as it became available again, Travelers bought it back. 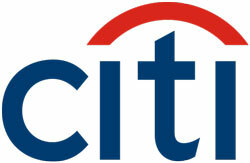 Citi retained a red swash over its name, and the grace, simplicity, and power of its logo also endures. 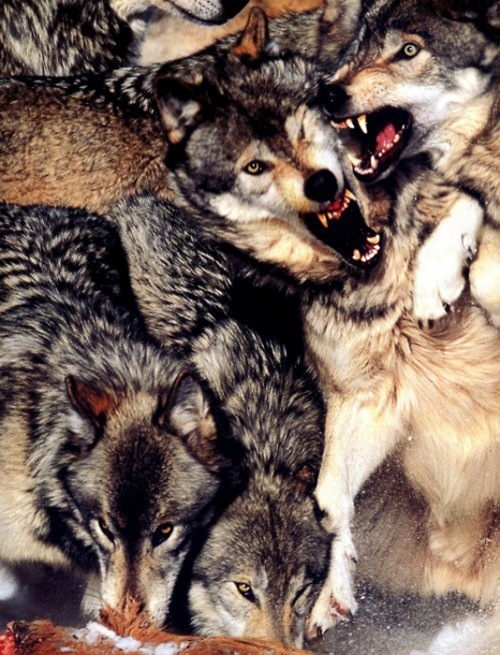 Sales leaders often succeed by being consistent and aggressive. But when is enough enough, and when is the soft touch needed? The most important thing to consider in a sales opportunity is what can happen if your prospect won’t close, and sharing with them what is at risk. 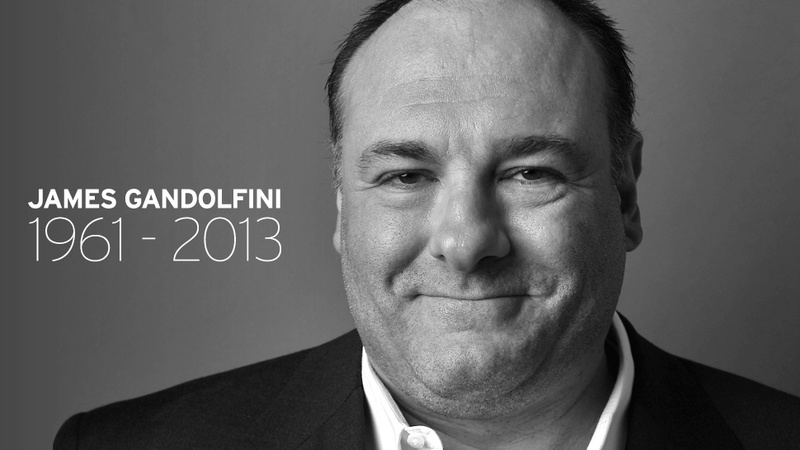 The magazine Private Wealth recently released an article titled “Sopranos Star’s $30M Misstep,” where the details of James Gandolfini and his $70 million estate’s loss of what is estimated to be $30 million by dying without protecting his assets in a private trust or some other vehicle for ensuring the IRS and local authorities couldn’t tax so much of what the actor left behind for friends, family, and charity. It is true that financial choices, indeed all choices, we make as human beings in this life are our own, and are our responsibility. But imagine the responsibility of Gandolfini’s financial advisors: Was there a possibility someone didn’t “sell” him hard enough on a review of his situations? Apply pressure evenly and consistently for best practice. Prospects may have their own opinions (sometimes accurate, sometimes wildly fanciful) on how salespeople earn and receive compensation. Often, a CPA offering a valuable but low-cost analysis can be disregarded by a client’s psychological distrust of “selling,” which leads to delaying the close of a sale or putting it off entirely. This introduces a danger, not just in a salesperson missing a commission or falling short of a quota, but of the client not benefitting from the sale. If your car was in for service and the mechanic told you that your brakes were about to fail, but you ask, “can it wait?” Is your mechanic doing a good job if he or she backs off from your response, even though you will be driving at risk of a terrible crash? "I suppose it is tempting, if the only tool you have is a hammer, to treat everything as if it were a nail." - Abraham H. Maslow, Toward a Psychology of Being (1962). As a salesperson, you will find that your strongest and best ability to persuade, educate and push is a power often tempered with timing, strategy, and relationship management. But the delivery of quality and quantity of contact with a prospect, or current client, is what is most important to averting the treacherous future without your product or service in your prospect’s employ. It is your duty to deliver to them the information they need about the risks they could suffer if they don’t work with you and your organization. Only armed with this possibility can they make the decision to buy or wait properly. BURLINGTON, Mass.– Collaborative Consulting today announced it has recruited three executives with extensive experience in the financial services industry. Joining Collaborative’s financial services team will be Gary Jones, who brings a long history of experience in the wealth management business; Sandeep Singh, with deep technical and domain experience in financial services; and Sean Dykhouse, a seasoned business development professional. All three most recently ran the wealth management practice for eBusinessware where they delivered IT service offerings to the asset management industry. Combined with Collaborative Consulting’s recent acquisition of the SMART Consulting Firm last year, the additions further enhance Collaborative’s Managed Accounts practice. All three hires bring experience and skills that advance Collaborative’s financial services offering.”By adding these three, very talented and experienced individuals, Collaborative will be gaining incomparable expertise and managed accounts consulting capability in the financial services field,” said William Robichaud, President and CEO of Collaborative Consulting.Jones comes with over 25 years of experience in the Managed Solutions industry having spent a significant period of time as a part of the leadership team in Merrill Lynch’s Advisory solutions business. He currently supports the Money Management Institute (MMI) as a private consultant in its effort to bring greater efficiency to the managed solutions industry. “We are excited to join one of the industry’s strongest IT consulting firms in financial services and look forward to what we can achieve together,” said Jones. “This week’s MMI Annual Convention is the perfect opportunity to introduce our new team,” he added. Collaborative’s acquisition of SMART Consulting Firm in July 2012 boosted its expertise in business development, enterprise and project management in the capital markets industry. That practice is based in offices at 77 Water Street in Manhattan. “Collaborative Consulting has made rapid strides in the financial services industry and Mr. Jones, Mr. Singh, and Mr. Dykhouse will be valuable assets in expanding our existing systems architecture and implementation capabilities,” said David Gardner, Senior Vice President of Collaborative Consulting. The recruiting of these industry experts comes about a year after Collaborative broke new ground with its “onshoring” initiative and the hiring of over 70 new IT specialists, jobs that in the past would have gone offshore to facilities in places like India and China. The Collaborative Domestic Solutions Center (CDSC) in Wausau, Wisconsin recently celebrated its first anniversary focusing on onshore application development and testing and is on track to hire up to 200 IT experts within the next year or two. The announcement today about the firm’s financial services practice comes only weeks after Collaborative announced a boost to its life sciences capabilities with the acquisition of the Maxiom Group. Maxiom provides pharmaceutical, biotechnology, medical device and healthcare technology consulting services. The growth at the CDSC has resulted in significant new job creation at Collaborative Consulting’s Burlington, MA headquarters. Collaborative is a leading management and IT consulting services organization with offices in New York, New Jersey, Pennsylvania, and Texas, dedicated to helping clients achieve business advantage through the use of technology. The company delivers a full complement of services across multiple industries with a specific emphasis on financial services and life sciences. Collaborative’s foundational service areas are Information Management, Application Development, Program Management, Software Performance Engineering, and Quality Assurance. They deliver these services through a combination of traditional consulting and the Collaborative Domestic Solution Center providing optimal value to clients. Collaborative was recently awarded a spot in Software Magazine’s Software 500, a ranking of the world’s largest software and service providers. Collaborative is headquartered in Burlington, Massachusetts. While some metaphors are effective because they are memorable, and some are regrettable because they are forgetable, this sales example of becoming and staying focused is one that always brings smiles. One of the most common fallacies you can observe in modern business marketing efforts is the inability to overcome personality in order to offer customers what they want. It is true that you can sell more than what people think they want, but it is a terrible mistake to sit in meetings with marketing and promotional leaders and declare “don’t make the widget purple, I always hated purple.” Big wins and big breakthroughs come from surveying and listening to what customers really desire. If market research shows purple widgets are what will make the biggest impact for purchasers, mismanaging the process to offer only orange based on one opinion is too large a risk. If a woman walks into a grocery store, and she is only looking for cabbage, she is not looking to buy anything else, although other upsell opportunities exist. Trying to sell her a hammer, or a box of pastries, may or may not be effective, but it is not what she walked into the store looking to purchase. The old adage, “sell the sizzle, not the steak,” has never been more true than today. Imagine the markets of England, where even today, in open air bazaars, sellers loudly hawk their wares,” Cabbages! Get your cabbages here,” they announce. In modern marketing practice, it would make more sense to holler the experience your customers could want. 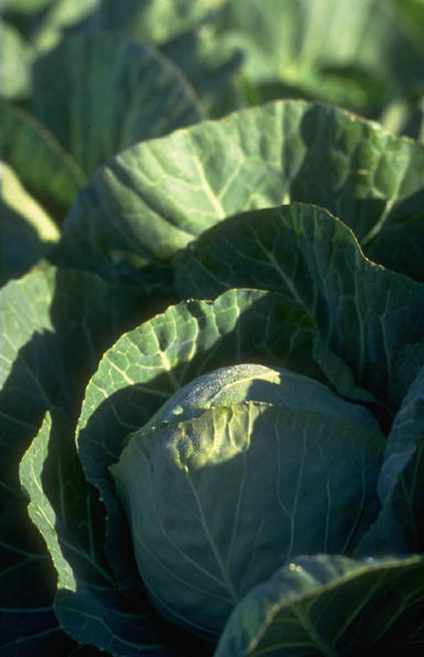 By getting your potential buyers to imagine a tasty sauerkraut, or a crisp cole slaw, even a warm and steaming rice and saucy cabbage roll, will make a far greater impact towards selling the cabbage alone.